The last day of a long bike ride is always a strange day. Not that any of the previous five days were similar to the others, but this day was especially different. As is the case with many journeys, on the last day two things happen. First, the specifics, the details such as route decisions, stop locations, timing, daily milage and the like all sort of gradually drift out of my mind. In its place come grander thoughts about the trip as a whole, the accomplishments, the disappointments, the lessons learned, and everything else that has been going through my mind. The second thing that happens is reality starts to set in. For six days, July 5th, the day I would go back to work, and return to my “normal life”, may as well not have existed. It did not cross my mind once. It’s like my mind suddenly re-realized that this day was coming and that, in less than 24 hours I’d be on a plane heading home, and within 48 hours I’d be back to regular old work. Another thing that made this day different than the first five days is that we had two additional riders join us. Riding with a group, and riding significantly less miles (67 today as opposed to over 100 most other days) made the ride take on a significantly different feel. We entered Maine only about seven miles into the ride. I guess the previous day I pretty much rode across the entire state of New Hampshire. And, I got my sign! The one I had been hoping for the last two times (last two days) I crossed a state line. The first part of the ride was nice, with a wide shoulder along state highway 113, following the Saco River. After riding on a few back roads, and a little bit of time on a trail that was half paved and half rocky, we found ourselves headed into the Portland area. The roads got significantly busier. In fact, these were the busiest roads I had ridden on for the entire trip. In some parts of the route, the shoulders all but disappeared, making these the kinds of roads I would not normally chose to ride on. We rode through the surprisingly hilly downtown area of Portland, and after the final seven miles along state highway 77, arrived, in the early afternoon, at our final destination for the trip, Cape Elizabeth. When we arrived at the Atlantic Coast, at Two Lights State Park, the day started to get emotional. This was, by far, the biggest bike trip I had ever been on, and may still prove to be my life’s longest bicycle journey. 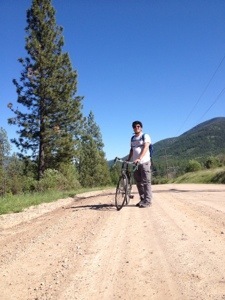 But, for Clay, it was the culmination of a three year long effort to bike across the country. In 2014, he biked from Denver to Chicago. Last summer, from the Oregon Coast to Denver. This year, from Chicago to Maine. In three segments, he biked across the country. Many members of his family made the journey to Maine to see him triumphantly enter the Atlantic Ocean, having biked across the continent, and, as a side note, also basically proven that you do not have to be some incredibly rich or extremely lucky person to do so. He did it all while holding the same steady job! Of course, it is easier to be emotional when exhausted, and this picture sums up exactly how I felt the first fifteen minutes after completing the ride. It was an odd combination of emotions that came over me. Most of them were good, and most importantly, I felt gratitude for being able to play a small part in this whole mission by joining Clay, for three days last year in Montana and Wyoming, and for six this year. In the afternoon I got the meal I knew I had wanted upon completion of my ride; Lobster. I love lobster, but I live in Denver. When in Maine, well, really there was no other logical choice. In fact, when biking over the last hill of the day, despite being tired, I actually increased my speed and simply yelled, “this is the last hill in the way between me and lobster”! We ate at a place called the Lobster Shack Restaurant, which, on that day, had a 40 minute wait for service, as it is a popular destination where patrons can eat while overlooking the Ocean! It got even more emotional after that. That evening my main goal was to hang out with my friends, Clay and Liz, as much as possible. They are in fact, leaving for a year long adventure, to go out and see many other parts of the world! These adventures will be catalogued on their WordPress site. I knew I would likely not see them for a while. I also could not help but think about all of the things this bike journey taught me, whether it be specifically from the experience, or things that ran through my mind over the course of the long hours I spent on my bike. Over the course of the week, I saw kindness everywhere I went. Clay was raising money for charity. His family volunteered to help with the ride. Many of the people we met along the way were friendly. I realized that, despite the amount of physical pain I put myself through, I felt happy the entire time, significantly happier than under normal circumstances. Maybe the whole world would be happier if we all acted this way towards one another. The most I can do, going forward, is strive to be the kind of person that gives more than I take, and do my part. Having experienced being on mile 27 of a 100+ mile day multiple times reminded me not to become too obsessed with the destination. This ride was about more than me laying on a beach in Maine and then eating lobster. It was all of the places I saw while traveling from Niagara Falls across Upstate New York, through the Adirondacks and then Northern New England. The rest of my life is not exactly where I hope it will end up at this point in time, but I can be much better off if I learn to obsess less over the destination and enjoy the journey, as I did this week. The social media era has turned us all into avatars. By that I mean we all have some kind of image of ourselves that we present to others, based on who we think they want us to be. 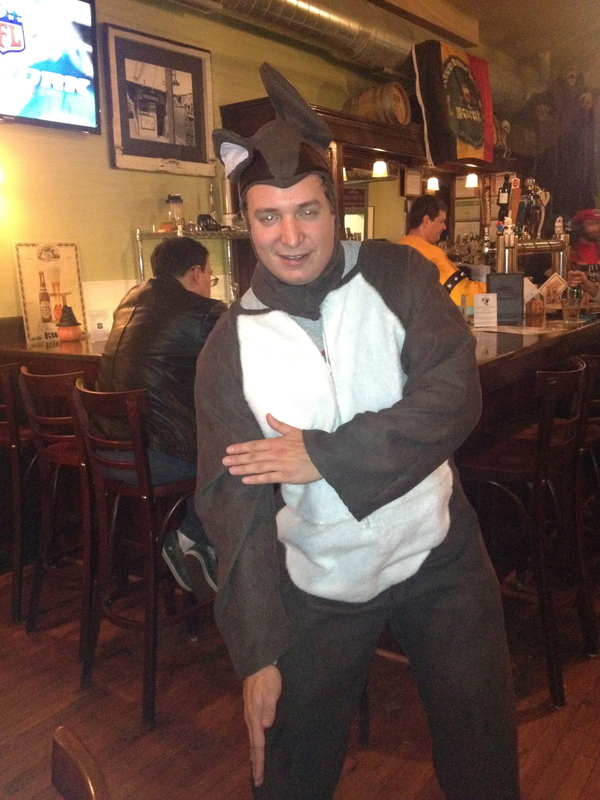 This week, I simply couldn’t continue to be my avatar. On trips like this, our concerns shift, from the concerns of urban 21st century American life, such as getting a promotion or getting likes on social media, to more basic concerns, for food, water, and shelter. I couldn’t put on a show for others, but I got by, and even thrived. The others on the trip seemed to enjoy having me around. So, I need to stop trying to be the person I think others want me to be. Also, on the flight to Buffalo-Niagara, I was reading a book called The Happiness Project, about a woman who undertakes various initiatives aimed at improving life satisfaction and reports on the results. She introduced me to the concept of “fog happiness”. This is when the happiness related to an activity is not necessarily concentrated at the time of the activity itself, but spread out over a longer time period, both before and after the actual activitiy. Once I determined I was going to make this bike trip, for the first time in my life, I thought of myself as a legitimate bike tourist. For the first time, I felt the right to interject in a conversation about bike touring, and have legitimate opinions. Essentially, I had added something to my list of activities and enriched my life. We all should be more thoughtful when choosing activities, and, specifically avoid missing out on opportunities to create more of this “fog happiness”. Obviously, anytime anyone completes an activity that requires a great amount of physical exertion, it is a reminder of how rewarding it can be to overcome fatigue. This lesson applies to other areas of life too, but a journey like this can often be the best reminder that some of the most challenging tasks are the ones with the greatest reward. Personally speaking, the most important lesson I have taken from this ride relates to something I have struggled with for nearly my entire life. I seek significance in life. I want to do things that matter and feel like I matter to others. While with most of it my intensions are good, there is a dark side. At times, when I feel insignificant and powerless, I succumb to anger, depression and other negative emotions. This week, while a significant ride, and a series of significant experiences and accomplishments for myself, I was not the center of it all. As previously mentioned, it was Clay’s ride. He rode longer, harder, and raised money for charity. Yet, I did not feel insignificant, as I have a tendency to feel in many day-to-day activities. I realized, and this is important, that: You Don’t Have to be the Center of Attention to Matter. I cannot stress this, to others but most importantly to myself, enough! As I flew home, I drifted off to sleep, as Bon Jovi’s inspirational 2000 song Save The World played on my headphones. Flying through moderate turbulence, I felt the plane gently shift, both upwards and downwards. Running through my head, was an image of myself, from above, pedaling over hills, through the woods. Nothing else was happening, I was just pedaling. This entry was posted in Cycling, lifestyles, Oceans, Personal Accomplishments, resturaunts, self improvement, sociology, trip Recap and tagged adventure cycling, bike touring, Cycling, life lessons, lobster, Maine, Personal Accomplishments, self improvement, travel, travel writing, trip Recap on July 17, 2016 by Stephen Jaye. 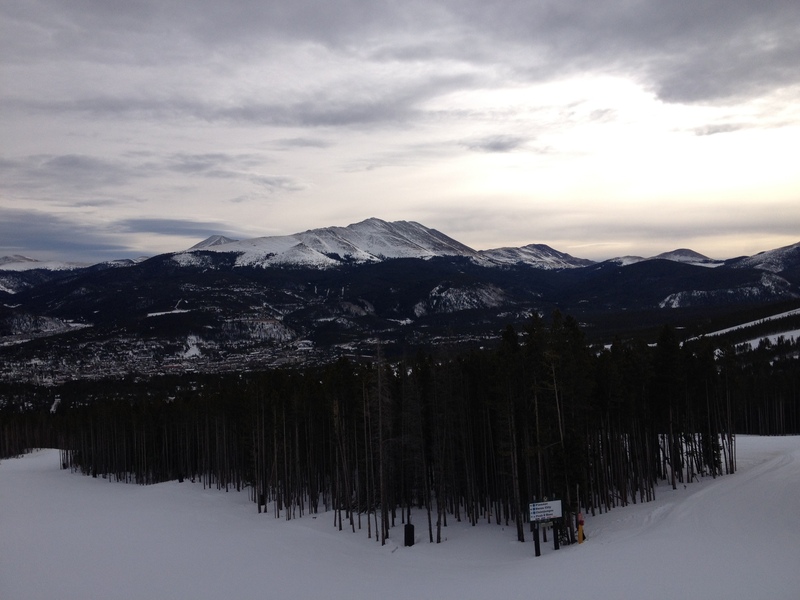 Last winter, I spent around a dozen days in Breckenridge, Colorado, including a week-long stay here in late February. Only a 90 minute drive from Denver, I feel quite comfortable coming up here on a day trip, without spending money on lodging, on a regular basis. To wake up, drive to Breckenridge, ski for six hours or so, and then drive back does not make for an overwhelmingly tiring day. When traveling to a particular destination becomes as regular as this one has become for me, the lines become kind of blurred. In a physical sense, I am most definitely traveling. I prepare, I pack, and I get in a vehicle and go to a different location which is a non-trivial distance away. It is not a run of the mill trip to the grocery store or a neighbor’s house. However, there are a significant number of people who commute longer than 90 minutes each way to work every day. For them, a trip that takes at least as long as my trip to Breckenridge (when there isn’t bad traffic), has become routine. It is certainly not something that any of these commuters would categorize as “travel”. A trip up to Breckenridge for me is without a doubt more interesting and exciting than a 90 minute drive to work, but it is only slightly less routine. I know what to pack, I know what to expect, and I know where everything is. So, a trip like this straddles some kind of middle ground between what most would consider “travel”, and what most would consider just a part of life’s routine. 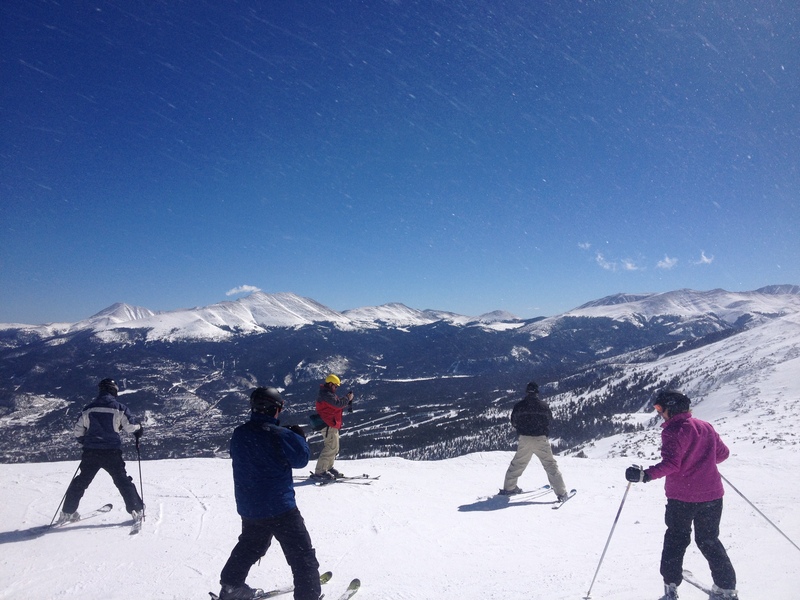 However, for many, Breckenridge is most definitely a highly sought after travel destination. 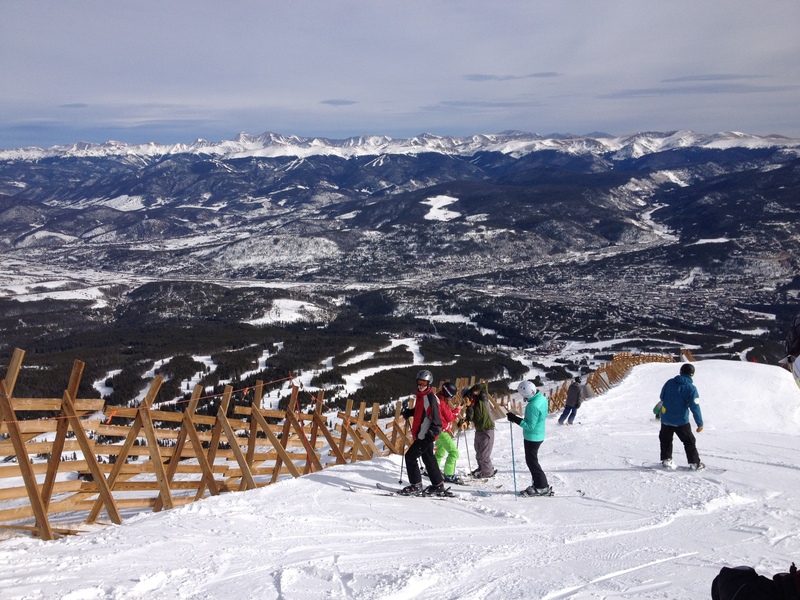 In fact, according to a fairly recent Travel + Leisure article, Breckenridge is the second most visited North American ski resort, behind only Vail. 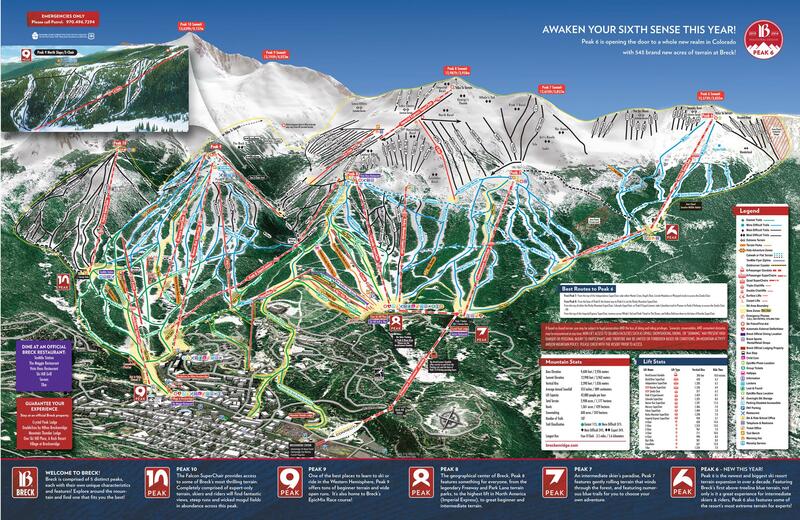 And, since the printing of that particular article, the resort has actually gotten bigger, with the opening of a whole new section of the resort- Peak 6. 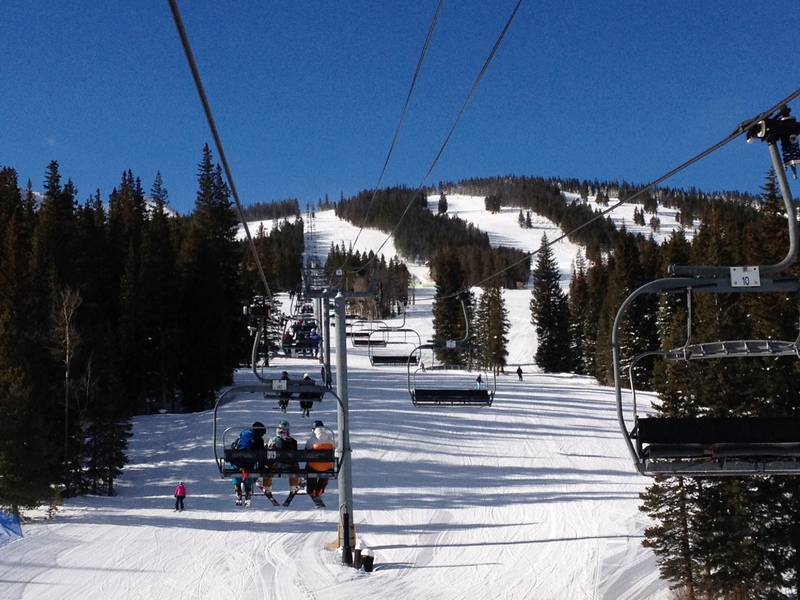 Despite its size, it is actually fairly easy to get around the resort. 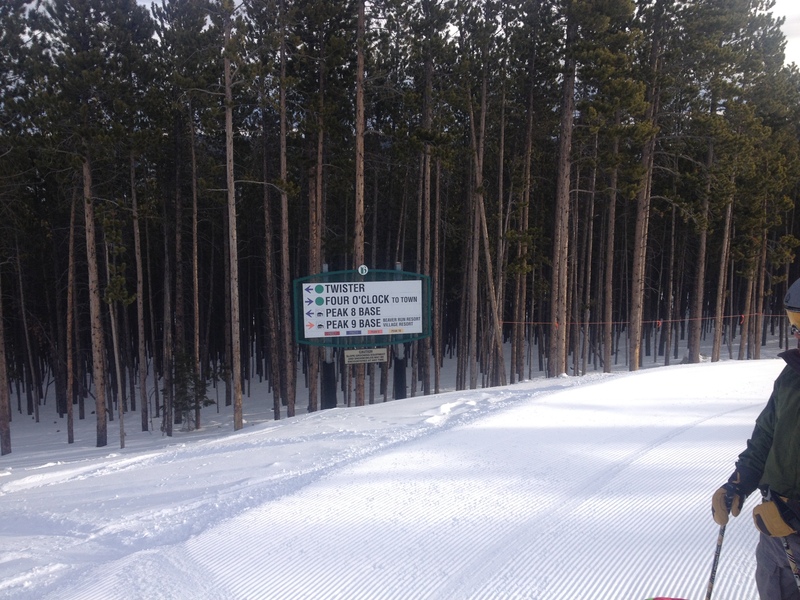 Each peak on the resort labelled numerically, and both the ski lifts and trails are labelled quite clearly. 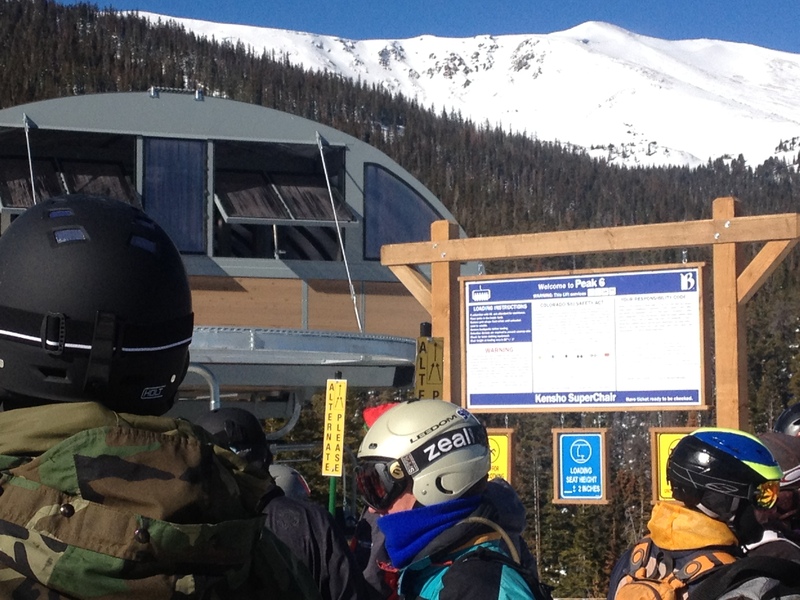 A variety of great trails, and panoramic views, already existed before the opening of Peak 6. Peak 6 added something unique; essentially intermediate level skiing in a wide open area above the tree line. 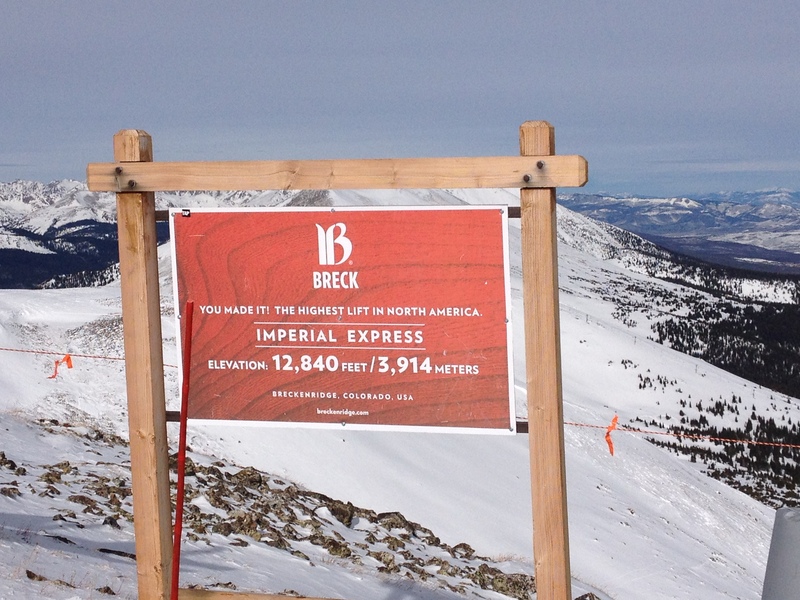 Even with Peak 6 rising to 12,300 feet, the highest point on the mountain is still the top of Imperial Express. At 12,840 feet, the very top of the mountain it often gets quite windy. In fact, this part of the resort gets closed quite frequently due to high winds, even on some perfectly sunny days. If there are relatively strong winds at any of the other parts of the mountain, I will often have no desire to come up here, and deal with even stronger wind at this elevation. Luckily for us, Saturday was a relatively calm day, making it an ideal time to head to this part of the mountain. For anyone that can handle the more challenging terrain up here, I would recommend making a trip to the top of the resort at least once on a calmer day, as there are very few places where you can overlook a ski area from above as you can here. In addition to the popular ski resort, Breckenridge is a pretty vibrant town, especially during ski season, and one that I greatly appreciate. Main Street, which is lined with shops, restaurants, and even nightlife, is a mere two blocks from the ski resort’s main Gondola parking. Numerous condos line the roads that offshoot from Park Avenue, providing many visitors with places to stay within walking distance of both the ski lifts and Main Street! In addition, the town is fairly unique. Surrounding nearly every other ski resort I have visited is a ski village that was built primarily to serve the ski resort. These villages are typically pedestrian-only areas (usually buses can come in) that lie between the main parking lot and the ski resort. Since these towns were built around the ski resorts, they typically have all of the amenities that anyone on a ski trip would need, often including numerous hotels and ski shops. 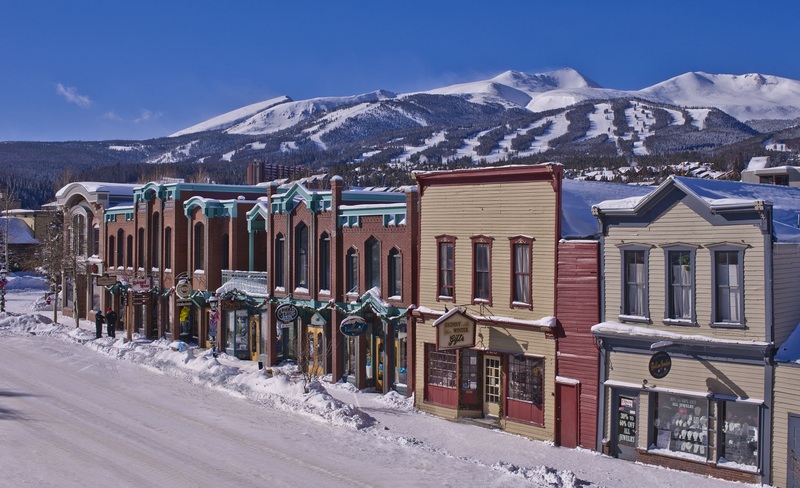 However, Breckenridge, having existed long before the ski resort, offers the experience of a ski town that has the layout, and feel, of a normal town. It feels a bit less like one is visiting a resort village, and more like one is visiting a town that happens to have an incredibly popular ski resort next to it. 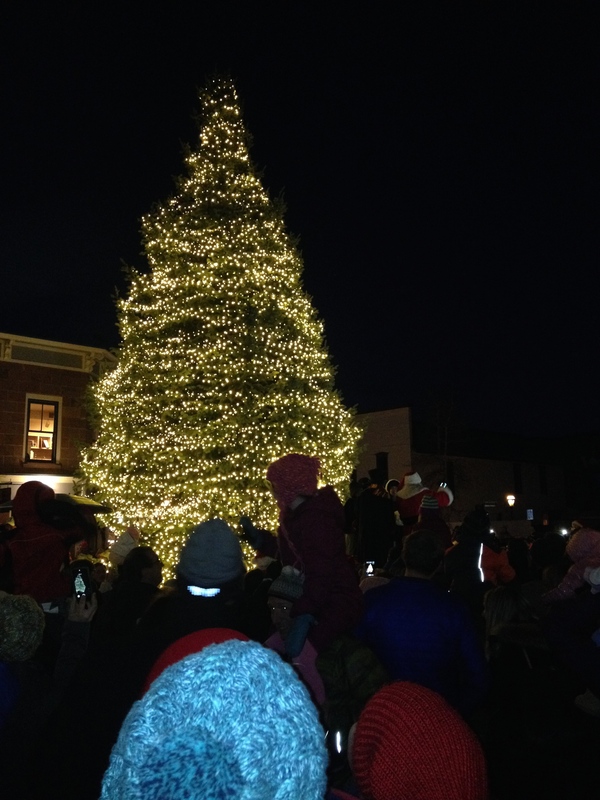 With the lighting of the Christmas tree Saturday night, Breckenridge “officially” kicked off the Christmas season. For many, the Christmas season has already begun. In fact, some do not even wait until Thanksgiving to begin preparing for Christmas. However, now, for better or worse, the season has kicked into full gear. On the drive back Sunday, after another nearly full day of skiing, some lamented that it was time to return to “normal life”. But, did we ever really leave our “normal lives”? All of us involved in this trip live in Denver, and ski up in the mountains quite regularly, carrying season passes to multiple resorts. Having skied 22 days last winter, 18 the year prior, and with the expectation of skiing nearly as frequently this winter, I feel as if last weekend, I was simply enjoying a funner part of my “normal life”. 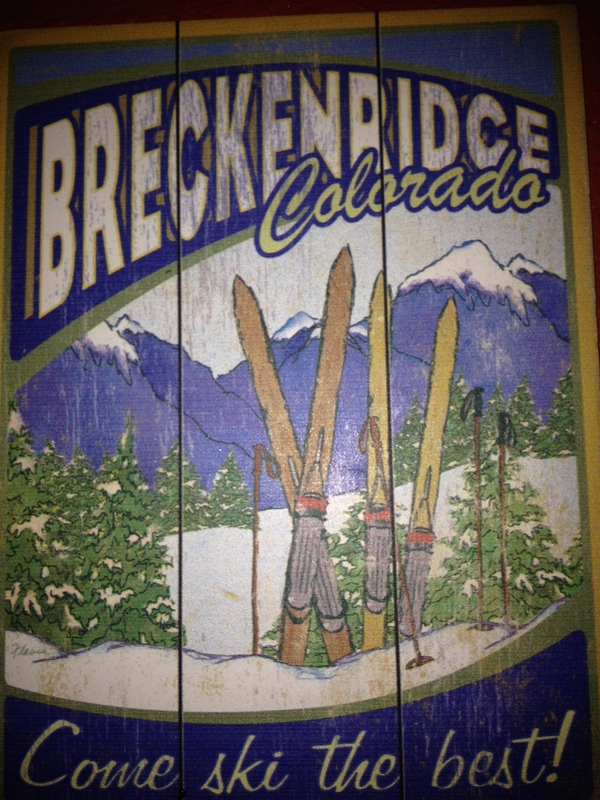 And, this Christmas, I can be thankful that something as fun and enjoyable as skiing in Breckenridge is not a “vacation” or “travel” from which I will return from, but a part of the cadence that represents my “normal life” in its’ current state. 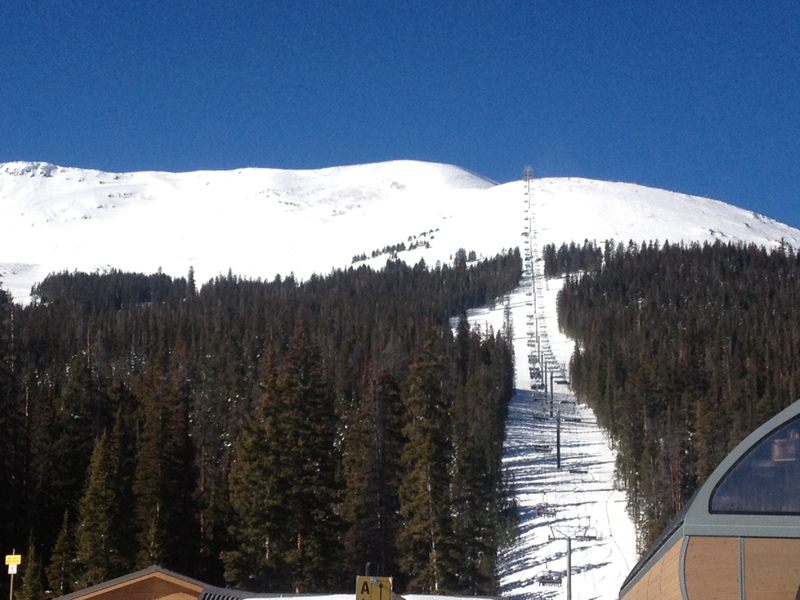 This entry was posted in Colorado, personal habbits, Skiing, tourism, trip Recap, winter activities and tagged Breckenridge, Christmas, Colorado, mountain peaks, normal life, skiing, travel, tree lightings on December 8, 2014 by Stephen Jaye. 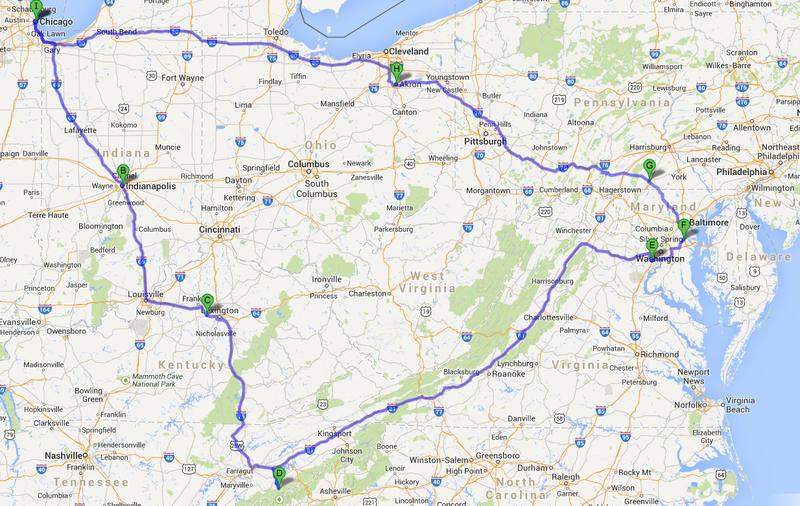 This image provides a basic outline of where I went on my fall road trip. I did end up deviating from this path a bit, but it still provides a good reference regarding the places I visited, and the length of time I was out of town- roughly two weeks when the time I spent in Chicago is factored in. This was the kind of trip where all of the pieces of the puzzle came together quite nicely. I knew I wanted to take a road trip this fall. First of all, for those of us that live in Colorado and take advantage of the outdoor activities the state has to offer, it is the ideal time of year to take a road trip. The season for summer activities has come to an end, but the main ski season has not yet begun. So, basically leaving Colorado in the autumn (or the spring) has the lowest opportunity cost. More importantly though, I knew I wanted to take advantage of the spare time I have right now while I have it. Life gets hectic sometimes, and when people get bogged down in day-to-day lives it becomes much more difficult to pull off a journey. I hear a lot of people discuss trips they would like to take “someday”, or “when the situation is right”. Unfortunately, sometimes years go by, with one situation after another coming up, and people lament the trip they never got to take. This is why I was actually quite thrilled to hear that a couple of my friends back in Chicago were planning a trip to Ireland this coming spring, even if it means they are less likely to visit me here in Colorado later in the year. I never seem to run out of travel ideas. In fact, I could probably make a list of 100 places I want to visit in only a few minutes. So, for me, the picture is quite different than it is for many others, who just have that one place they want to go to. Instead of just making a plan and executing it, to visit that one place, I just need to take advantage of opportunities as they come my way, and keep coming up with new ideas for places to go within the realm of the resources given to me. This means accepting that unless that weird long-haired guy whose picture I saw at the Museum of Science and Industry successfully develops immortality, I will most likely go to my grave with at least a few places I wanted to visit, and a few things I wanted to do, that I did not get around to. Knowing that I am taking advantage of opportunities, trying new things, and getting creative about a bunch of things makes this fact substantially easier to accept. I know taking this kind of trip and visiting people on a whim like this is more than most people do with their spare time. In fact, some may consider me odd for this, but most people I described this trip to, and saw on the trip gave me overwhelmingly positive responses. This trip also gave me what I needed during what has turned out to be a frustrating year for me. It actually reminds me of the theme song to the show Cheers, which explains the reason the show’s characters go to the same bar over and over again. “Sometimes you wanna go, where everybody knows your name, and they’re always glad you came.” This is why I was quite fortunate to have had the timing on visiting all of the people I visited along the way work out (given everyone’s schedules, especially on weekdays) so that I could go to every single stop I planned to go to in this two week period. Being new in a city whose culture and social scene ended up being more significantly different than anticipated can be a rough experience. While I advocate fully embracing new experiences, sometimes we take comfort in being around people where we know where we stand, and being in familiar places. I moved on, but I wanted to see many of the people that still mean something to me. I do see friendships wither away as people move to new cities and get too carried away with their day-to-day lives to keep in touch. So, it was quite fitting that the ONE time I had Chinese food, on this entire two week excursion, I got this fortune cookie. This trip confirmed this fact for me. Reflecting on the experiences I had visiting everyone, I can safely say that all of the people I saw on this trip are still my friends, despite how long (in some cases over 10 years), it has been since we have lived in the same town. I know this because the experiences I had were not limited to simply reminiscing and catching up, as sometimes does occur with “old friends”. While I did reminisce, and catch up with all of the people I saw, new experiences were created as well. This includes getting a 5-year-old addicted to The Fox music video, a plethora of jokes at the expense of Kanye West and Justin Bieber (is there an ocean bigger than Kanye West’s ego? ), more crazy party antics, but also some heart-to-heart talks about real stuff, the kind of stuff that people only talk about with people they trust. I designed this trip to have a mixture of the new and the familiar. Chicago is very familiar to me, and so is Maryland, but I had never been to the Smoky Mountains, or Gettysburg, before, and have limited experience in places like Virginia and Kentucky. Now that I am back in town, I will inevitably have some conversations with people about my trip. 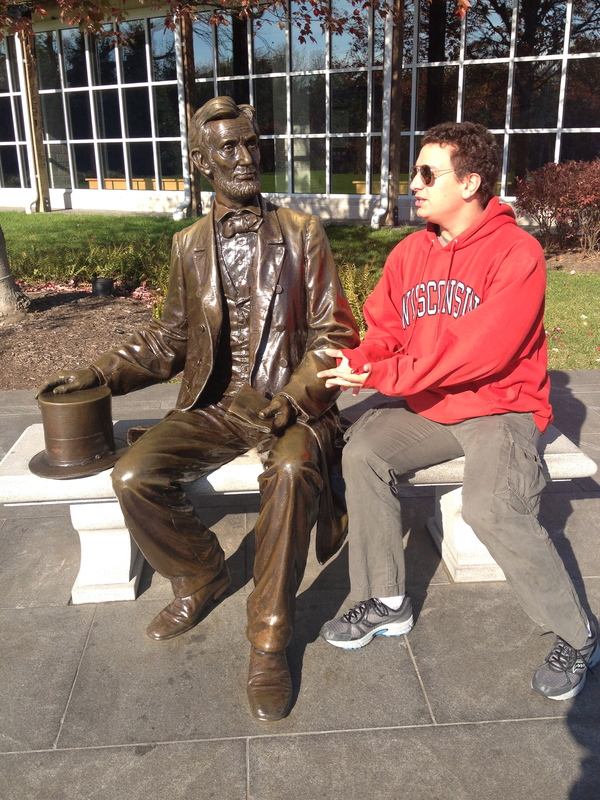 When I give people the “highlights”, experiences like the Smoky Mountains and Gettysburg will most definitely come up, as well as the craziness that was last weekend in Chicago. However, the more I reflect on the trip, the more I realize that what meant the most to me were some of the more simple things, like the ridiculous jokes and games. One of the people I reconnected with in Maryland actually remembered last seeing me over three years ago, at a party in Chicago. She recalled me describing abstract art as looking like a “raccoon having a period” while intoxicated. Some of the best memories we have are of thing that weren’t planned. I planned out my road trip, the timing, routes, and everything, but many of the things I will remember from this trip were not planned, but just as memorable. Perhaps the greatest display of friendship on my road trip is the fact that on the entire trip I actually only paid for one hotel room! I am truly grateful to everyone who let me stay over at their places. Some of these overnights were even on weeknights, which are always a lot tougher, and some even took some time off of work. That was a lot of money saved, but more importantly, it was also a better experience. Being alone in a hotel room can be refreshing occasionally, but is also quite boring, and not an experience I cannot have at home from time to time. Being around my friends was a lot more fun. My greatest takeaway from this trip is actually something I had already known, but lost sight of over the past several months or so. Pure and simple, yet a major lesson we all have to relearn from time to time. There are many situations in the adult world where we are trying to impress people for one reason or another. We are often times either told by others to not be who we truly are out of fear of being rejected, or lose confidence in who we truly are due to rejection. We will often find ourselves considering how to “reinvent” ourselves to make better impression on others. However, reflecting on some personal experiences, both recent and in the distant past, I realized that my odds are almost always a lot better when I do behave in a manner that comes naturally to me, as opposed to when I hold back, or try to conform to what is expected of me. No matter what reason you want to make a good impression on someone, your best bet will always be to be who you really are. Any relationship, of any kind, based on a false persona is a poor fit that will not last in the long run. I believe we are all generally better of without them. Time spent continuing to try to impress people who want a different version of you will often prevent you from finding the people, the jobs, or the situation that are truly the right fit for you. This entry was posted in relationships/friendships, trip Recap and tagged experiences, friendships, memories, reflection, social life, travel, trip Recap on November 5, 2013 by Stephen Jaye. It is one of the strangest days any of us will experience. It is also the day that makes a vacation a vacation. It is the first day back. It is the inevitable end of some temporary state of being known as vacation, or holiday, and the return to what is often referred to as “real life”, or “normalcy”. But it is not a true return to normalcy, whatever that may be. If a vacation is successful, as mine has been, the first day back usually involves being, to some degree, more physically exhausted but more mentally/ emotionally energized or stimulated than is typical. Around the office, someone on their first day back from an enjoyable vacation is usually seen walking around the office with a slightly “springier” step, with interesting anecdotes, sharing photos to coworkers. People fresh from vacation do not seem to develop those mid-afternoon doldrums that come from an entire day of staring at a computer screen. There is also the transition to normalcy, which often takes several days. This usually involves laundry, responding to mail, buying groceries, and all of the other tasks that one normally performs on a regular basis, but are almost never done while on vacation. Under normal circumstance, having to do all of these tasks in one particular day would be something to be dreaded, but today, that is not so much the case. Maybe it is the fact that I had gotten a break from these routine and mundane activities. This is kind of the same reason that many have come to recognize Tuesday, and not Monday, as the worst day of the week. 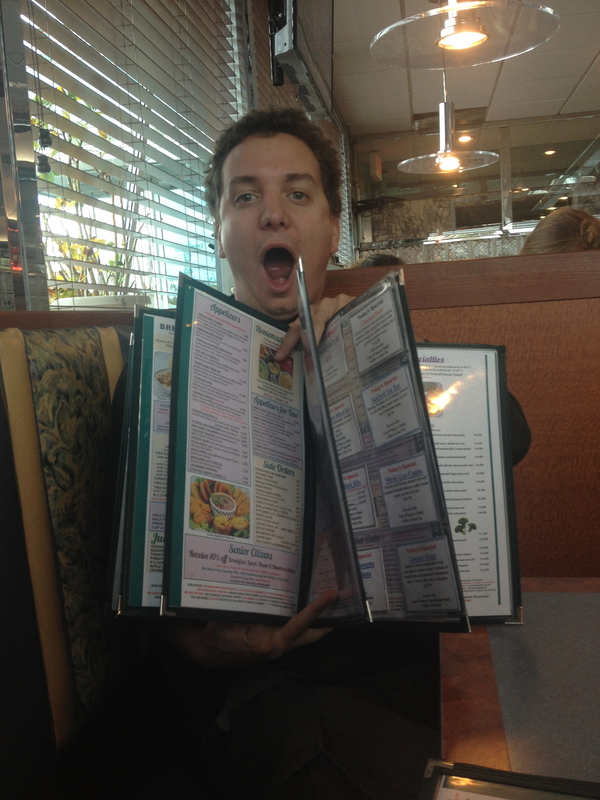 I have been traveling and out of the house since Friday, May 31st, two and a half weeks ago. It was not just one trip, but three trips, whose schedules happened to coincide in a manner that has made the first part of June somewhat of a wild goose chase around the country for me. I have always been one to plan things tightly packed together, but that usually meant meeting someone for dinner at 7:30, than meeting a group of friends at the bowling alley at 9:30 on the other end of town, and then going to a party afterwards. This trip, first to Chicago to road trip to South Dakota, than to Missoula. Montana, and back to Denver very briefly to fly to Minneapolis to attend a wedding on Wisconsin’s Lake Superior shore, took that concept to a whole new level. I knew I would be exhausted from this trip, but I am not nearly as exhausted as I thought I would be. It is quite easy to under-estimate the power of adrenaline. But, it was my friend Jacob who basically said that most people would be surprised at how much they are able to do if they just keep going. It is usually a manner of motivation, which seems like where the adrenaline kicks in. I notice this all the time in Colorado, when waking up at 5:30 to go skiing is ten times easier than waking up at 6:45 to go to work. It may be easy to say “I don’t get tired, I get bored”, but that is not truly the case either. There are limits. A marathoner does not just find mile marker 25 boring. Well, maybe they do, I wouldn’t know because I have never run one. Either way, whenever we push ourselves hard, it is exhausting. The exhaustion we experience usually becomes evident as soon as the adrenaline from the activity wares off. The question is, how far can adrenaline take you? 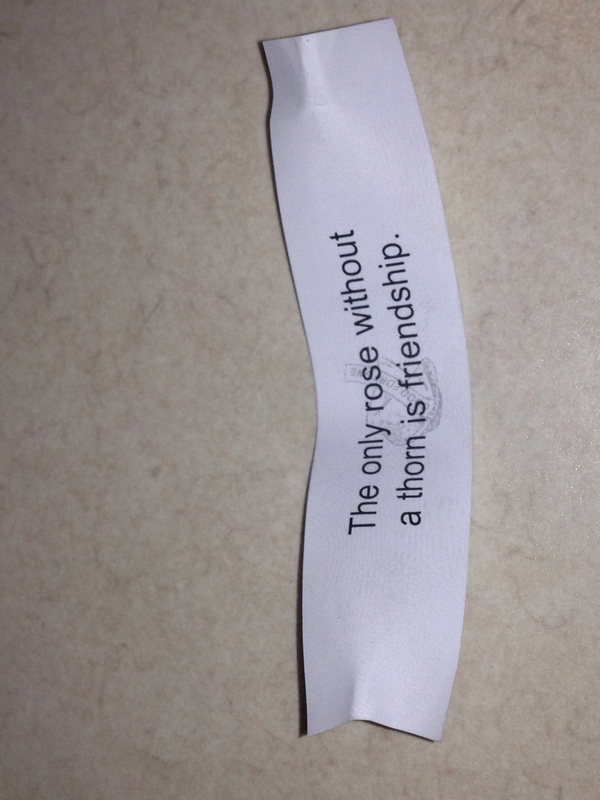 I guess that is partially dependent on the person. But, I am sitting here, now, still unsure whether or not I truly pushed my limit with this month’s series of adventures. Regardless, it made for a period of time significantly more interesting than most. It hopefully made for some good entries on this very blog, and experiences that I will remember for the rest of my life. Now, for a little time off from constantly being on the move. 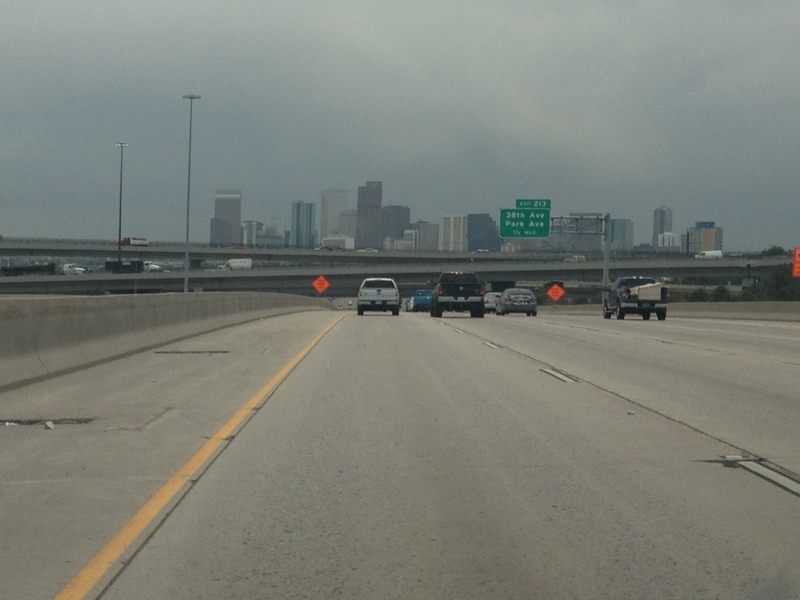 This entry was posted in Colorado, trip Recap and tagged Returning Home, trip Recap on June 17, 2013 by Stephen Jaye. For the past four days, from Thursday June 6th, through Sunday, June 9th, I attended a Leadership Training Course for the Adventure Cycling Association (ACA) in Missoula, Montana. This course is designed to teach people how to be leaders of long-distance bicycle tours. These tours can be as short as a week-long tour of about 300 miles, which is short by ACA standards, but long by the standards of the average person. They can also be cross-country, which could last three months! The course is designed to help the ACA develop leaders for their own tours, as well as teach leadership skills to people who wish to conduct bicycle tours in some other kind of capacity. The course was quite rigorous. One of the leaders said that it was a week-long course condensed into four days. However, I think the main reason it was rigorous was that the course was designed to stick to a schedule akin to the schedules kept on these long distance bicycle tours, where each day stats before 7 A.M. with breakfast and campsite cleanup, and ends at another campsite with dinner at 6 P.M., and sometimes other activities. The in between time would be biking and exploring on an actual bicycling tour, but in this course, it was leadership exercises and some bicycling. 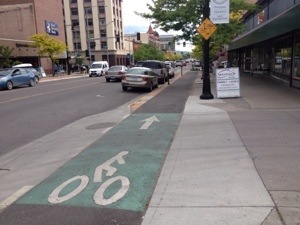 Despite this rigorous program at the Adventure Cycling Headquarters, I was still able to get out and experience Missoula a bit. There were definitely some surprises. Missoula had a nice downtown with a neat looking river valley and mountains in the backdrop, which did not really surprise me at all. Missoula’s population is about 66,000, more than any town in Wyoming, and I thought Sheridan had all of these features with roughly half the population. What did surprise me was the surfing! Yeah, surfing! When people think of surfing, the typically think of California, or Hawaii. Maybe Florida, or Massachusetts surfing would not be a major surprise, but Montana, I would never have guessed. 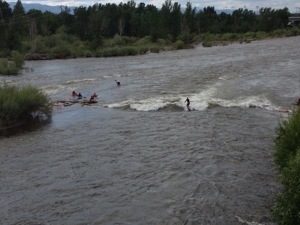 But apparently there is this one rapid, created in the Cark Fork River, where people commonly surf. The other surprise was how lively the town was, especially when it comes to night life. Missoula is a college town, home to the University of Montana, but those students have left for the summer. However, the town was quite lively on Friday night. There were several areas where there were bands playing and people dancing, and in one place there were people drinking beer out in a parking lot and taking turns jump roping. In addition to that, Saturday morning featured more farmer’s markets than I thought it would be humanly possible for a town of 66,000 to support. One of the other participants in the Leadership Training Course referred to Missoula as a “mini Portland”. At the Leadership Training Course, I couldn’t help but feel a bit conflicted. The main thing as learned here was that there was a lot more to putting together a long distance bike tour than I had really thought about. Most long distance bike tours involve primarily camping each night, and cooking food on a campfire. Both of which require a lot of gear, which needs to be carried by the bicycle riders. So, just like in backpacking trips, gear parking must be planned carefully and unnecessary items need not be taken along on the trip. Also, the route and campground accommodations must be carefully planned in advance. In these areas, the Adventure Cycling AssocIation does a really good job. Their maps are second to none, as well as their notes on services in each town on the route. If anyone plans to go on a bike trip across the country, I’d seriously recommend using their maps, or signing up for a guided tour. Learning about all of their tour preparations and such, as well as meeting people who have the system of packed pannier bags and such down, made me realize just how inexperienced I really am at this stuff. The bicycle trips I organized with my friends were not nearly as far, and not nearly as well planned. I also have not had too much experience with cooking and camping. In essence, I learned that bing good at biking and having some good leadership personality traits is not all I need to be a good leader of bike tours. If I ever were to actually bike across the country, let alone lead a ride across the country, or bike the Lewis and Clark trail, as I love talking to people about, I would have to either learn more about this stuff, or be prepared to spend nearly $5,000 on hotels and restaurants. Or I can become good at convincing people to let me stay at my house, but being neither a drug dealer or a prostitute, well, that is not going to happen. I also began to think about how much I may miss some of the other activities I love doing. Mostly, I am referring to social activities, and, well, partying. I may love to party too much to ever be able to give that up for 60 days. Well, it isn’t just partying. I don’t want to come across as someone out of that movie “Old School” that wants to join a frat well after college is over. But, I do like food variety, large social setting, etc. I guess in a nutshell, I am thinking of my urban nature. I mean, I am from New York and Chicago, and there is some kind of an adjustment to make to suddenly live a culture that represents the opposite, out in the woods in places like Montana. I love bicycling though, and I do love being outside. I was tired of my desk job for a reason. It almost feels like there are two different version of me in conflict with each other. There is the me that just absolutely loves being on my bicycle, and cannot stand to watch a wonderful day with tons of opportunities to experience the outdoors go to waste inside the walls of an office sitting in front of a computer. This me stares at maps relentlessly and has been conjuring up ridiculous ideas for quite some time now. There is also the me that prides himself in being out until 5 A.M., being the craziest guy at the party, and squeezing as much activity into a weekend as possible. This is the me that lives and dies by schedules, social arrangements, and wants to find out whose Friday night activities will be the craziest. In essence, it is an urban me vs. a wilderness me, a nightlife me vs. a daytime me, an indoor me vs. an outdoor me. After the Leadership Training course ended at 2:30, we headed South and East, towards Yellowstone, and I reentered the camping world, finding a campground roughly 15 miles northwest of Yellowstone along highway 287. As I set up camp and everything, and continued to ponder the possibilities regarding long bicycle tours in the wilderness, I begin to think of my friend Allison, who I had just seen in South Dakota (and wrote about on this blog). She lives in Chicago still, but has recently taken some outdoors classes, and gone on some trips. She seems to really enjoy it, but still lives on the north side of Chicago, well, maybe northwest, but you get the point. Maybe she has the same conflicts as I have, between enjoying urban areas and all the amenities, and loving all of these outdoor activities. Maybe this is something that a lot of American wrestle with. Do we need to pick one direction or the other? Or do we find a balance? Hopefully I find these answers soon. 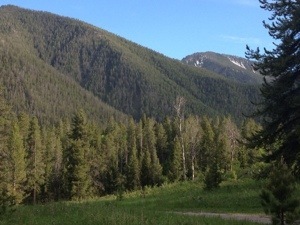 This entry was posted in Cycling, Montana, trip Recap and tagged Adventure Cycling Association, Missoula, Montana on June 11, 2013 by Stephen Jaye.